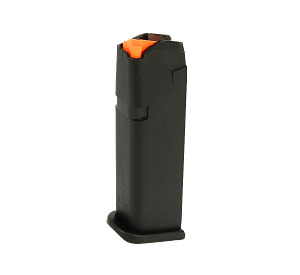 These are Glock 17 GEN5 magazines, orange follower, factory original, drop free, new 17 round magazines for your Glock 17 or Glock 34 pistol. Glock 17 gen5 mags are nice with the orange follower. Same reliability as the other generations. The only issue is it doesn’t fit into a 19X unless you change the base plate.